Ken Griffin‘s Citadel Investment Group has significantly raised its exposure to William Lyon Homes (NYSE:WLH), a new filing revealed. Citadel disclosed owning over 1.40 million class A shares of the company, versus 905,500 shares held previously. The new stake amasses 5.1% of the company’s class A stock. Earlier, Christian Leone’s Luxor Capital Group reported selling a total of 2.3 million shares of William Lyon Homes (NYSE:WLH) in a public offering for a price of $27.25 apiece. Following the sale, Luxor holds 6.29 million shares of the company, which represent 23% of the class A stock. For the past year, William Lyon Homes (NYSE:WLH), a company engaged in the design and construction of single family houses, reported a net income of $4.95 per diluted share, versus a loss of $0.93 posted a year earlier. Moreover, the company’s revenue also went up to $572.5 million, from around $398 million reported for 2012. Several other investors hold shares of William Lyon Homes (NYSE:WLH) according to the latest round of 13F filings. John Paulson‘s Paulson & Co held 3.32 million shares, valued at $67.51 million. Followed by Tom Brown‘s Second Curve Capital, and Robert Bishop‘s Impala Asset Management, which held 3.32 million and 1.24 million shares, up by 27% and 22% over the quarter respectively. Last month, Ken Griffin raised his position in Arch Coal Inc (NYSE:ACI) to 11.6 million shares, from 160,100 shares. The new stake amasses 5.4% of the common stock. 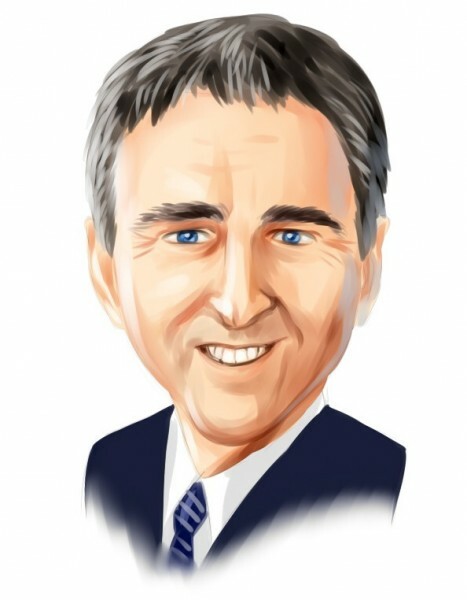 The largest position in Ken Griffin’s equity portfolio is held by Apple Inc. (NASDAQ:AAPL), in which the fund owns over 1.59 million shares, valued at $894.14 million.